How to reach Cairo International Airport? You can use an air-conditioned bus to transfer to Cairo International Airport. If you need a private air-conditioned vehicle, Memphis Tours can arrange that for you. Explanation: Cairo International airport consists of 3 terminals and offers many facilities as you can see a bank and ATMs; 24-hour bureaux de change and post offices are located in the Departures hall in both terminals. Left-luggage facilities also can be found in terminals. In addition; baggage trolleys and porters are available. 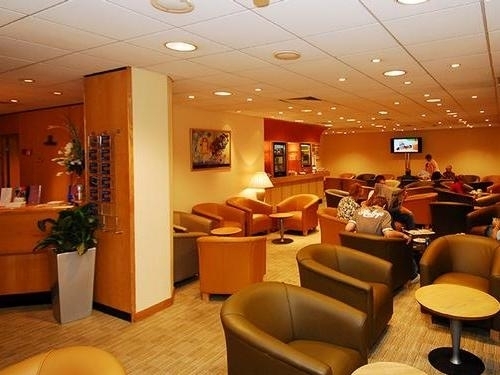 Moreover; VIP service is applicable at Cairo international Airport. In 1945, the Civil Aviation Authority took over the base and allocated it to the International Civil Aviation. The Airport was called "King Farouk 1st Airport". The works of construction started in 1957 and has been inaugurated on 18th of March 1963. Get excited by the new exclusive service available at Cairo International Airport. So we guarantee to make traveling a memorable experience. Also, you are going to have a seat in an exquisitely comfortable Lounge with immaculate service, for our passengers' utmost comfort & relaxation, given the perfect ambiance. During having your VIP welcome, our representative will handle all your procedures for passport control, luggage identification & customs regulations to protect you from being hassled at any point.